Melvin worked for dad in the shop and he was always there during our childhood. We didn’t have a brother and he was the next best thing. He did jobs on the bikes but he also played with us. The whole of the Grant family were just a part of our lives. Mr and Mrs Grant were friends of all of the family which I suppose wasn’t the norm back in those days. Melvin also rode in the races around the park and at Smethwick Hall and Holly Lodge. 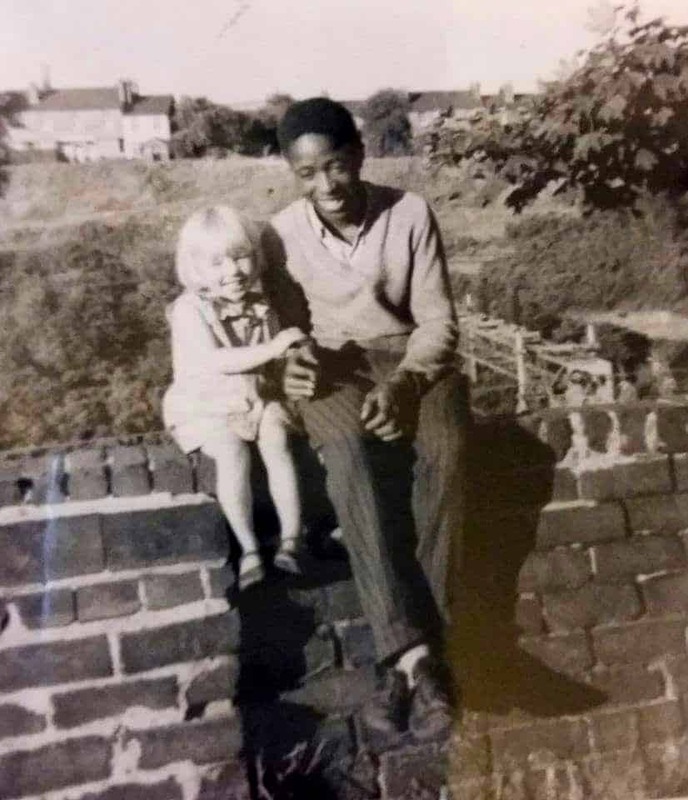 In the 1970s dad hosted an international bike race in West Smethwick Park with teams from Holland, Germany, England, Ireland, Wales, Scotland and Jamaica! I am guessing Melvin would have been in that team with some other local Smethwick boys. The back garden of the shop had an outside loo and coal house, two huge paraffin tanks which we used to sunbathe on in the summer eating Jublees. There was also a massive shed where dad kept the bikes that he was making up and repairing. Behind the wall they were sitting on was a huge drop down to the railway line and further back from that is the canal. The houses in the background were in Great Arthur Street Smethwick and you could see and smell the Birmid factory which was also there. On the right of the picture you can see branches of a sycamore tree that my granddad planted as a child in the early 1900s. We had a swing on it and we climbed it, unaware of the dangers if we were to fall off it down the bank!